We had a recent article about the most expensive cities in Asia for property. I figure writing about Asia’s cheapest places to buy real estate, along with the reasons for their low prices, is a natural follow-up piece. I don’t recommend buying real estate (or any other asset) just because it’s inexpensive. Prices are sometimes low for a reason. Weak future prospects can reduce valuations in the present. The opposite is also true. Just because a market is expensive doesn’t mean it can’t grow. For example, an apartment in Singapore costs about half the price of a similar one in Hong Kong. Both cities are leading financial centers while Singapore has an even higher standard of living. 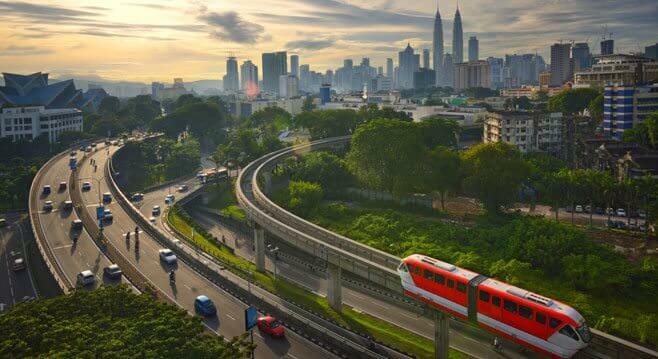 As such, there’s an argument that Singapore real estate is a good deal… despite costing an absurdly high US$14,000 per square meter (US$1,300 per square foot) on average. The best strategy is to focus on overall value. Ask yourself if rental yields are high enough and whether there’s potential for appreciation. Don’t just bargain hunt for the sake of it. With that said, some property markets have a rare combination of both low prices and great value. Let’s see how Asia’s cheapest places to buy real estate stack up. 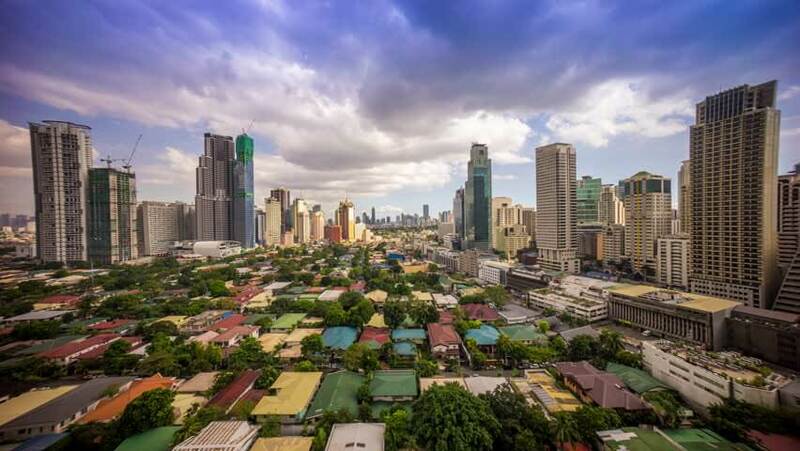 The Philippines is the third least expensive country for property investors. Buying a condo in Manila will set you back around $3,000 per square meter. Home prices in the archipelago have gone through a bull run for the past several years, more than doubling since the turn of the decade. Few bargains are left though. Current values are way beyond the level where locals can afford them. Not only that, but the market is overvalued compared to others in the region too. For example, buying a condo in Bangkok costs just a few hundred dollars more per square meter on average. This is despite Thailand having income levels more than triple those in the Philippines. You only need to look further below for an even better example. Property in Malaysia’s capital of Kuala Lumpur costs only about US$2000 per square meter on average. This is despite being one of Southeast Asia’s wealthiest countries – third next to Brunei and Singapore, in fact. Why? Quite simply, Kuala Lumpur went through a skyscraper boom and has too much inventory now. Rental yields are also horrendous at around 3%, so nobody really wants to be a landlord in Malaysia. It’s too much effort and cost for not enough reward. KL has an impressive skyline. However, not enough Malaysians can afford a shiny new condo unit. Not only that, but Malaysia’s Ringgit is one of Asia’s worst performing currencies. Falling commodity prices and weak exports led the currency to reach its lowest level since the 1980s. This means buying property in Malaysia is now cheaper in terms of most foreign currencies. Malaysia’s long-term outlook is better though. Strong population growth will help this relatively small country of 30 million people reach 40 million before 2040. This, along with urbanization and rising purchasing power, will eventually lead to more demand for prime real estate. Do you mind waiting awhile for property prices and rental yields to increase? That’s a personal investment decision. But Malaysia’s demographics show they almost certainly will in time. Cambodia is the least expensive country to purchase real estate in Asia. It costs just under US$1000 per square meter to buy prime residential property in the nation’s capital of Phnom Penh. Mind you, we’re not talking about the new high-rise condominiums in Phnom Penh. Expat-targeted info about property in Cambodia focuses on these condos. But they’re expensive, suffer from high vacancy rates, aren’t popular among locals, and have little resale value. 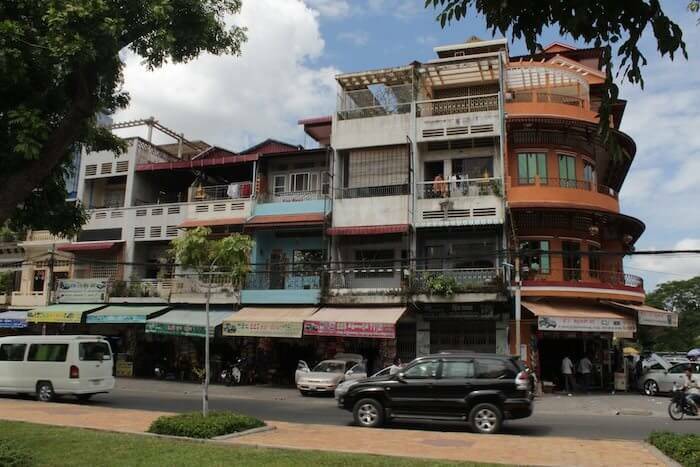 Older shophouse apartments built during Cambodia’s colonial era are among the best deals in the region though. Their quality ranges from being in dire need of renovation, to having 5-star standards and luxurious fittings. These apartments might be a few decades old. Yet they’re solidly built and have a desirable location. Why is Cambodia so inexpensive? Unlike Malaysia, for example, there’s no mismatch between supply and demand. Buying real estate in Cambodia is cheap simply because the nation is one of Asia’s least developed. That might not be the case for long. With economic growth exceeding 7% per year (which is only expected to hasten from there) Cambodia is also one of the fastest growing countries on the planet. Tourist arrivals, foreign investment, and exports are all on the upswing. Meanwhile, investors benefit from yields in the 8%-10% range. Now that’s an incentive to wait.